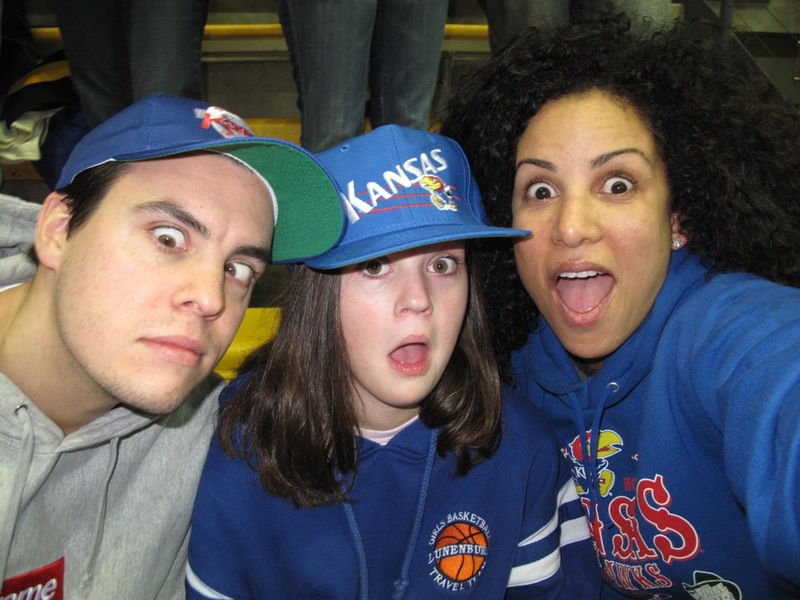 One of my all time greatest loves is Kansas Basketball. How I got to love this team so much is something I can’t disclose,unless you belong to a secret club. 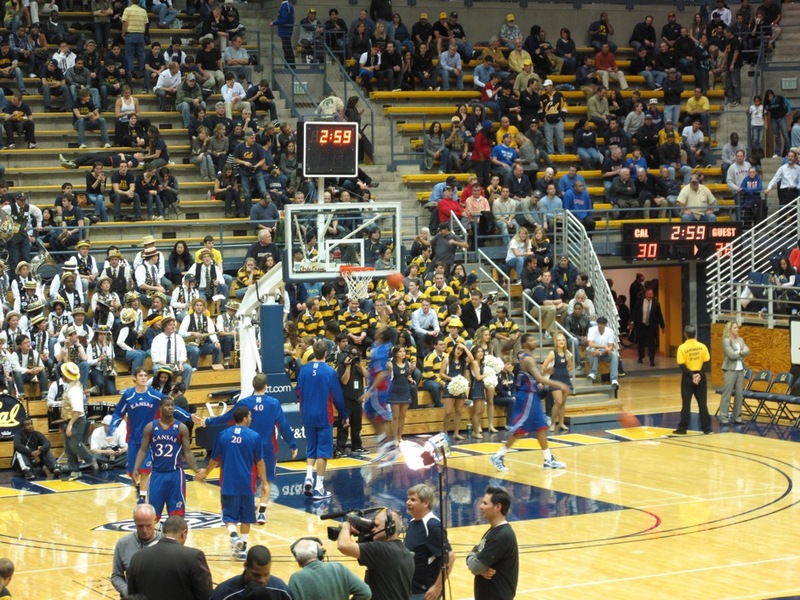 I am in SF solely to see the Kansas Jayhawks play the CA Golden Bears. Now, I have designed and manufactured this amazing Christmas getaway – but it isn’t Christmas that got me to drive 6 hours away from home in the rain. 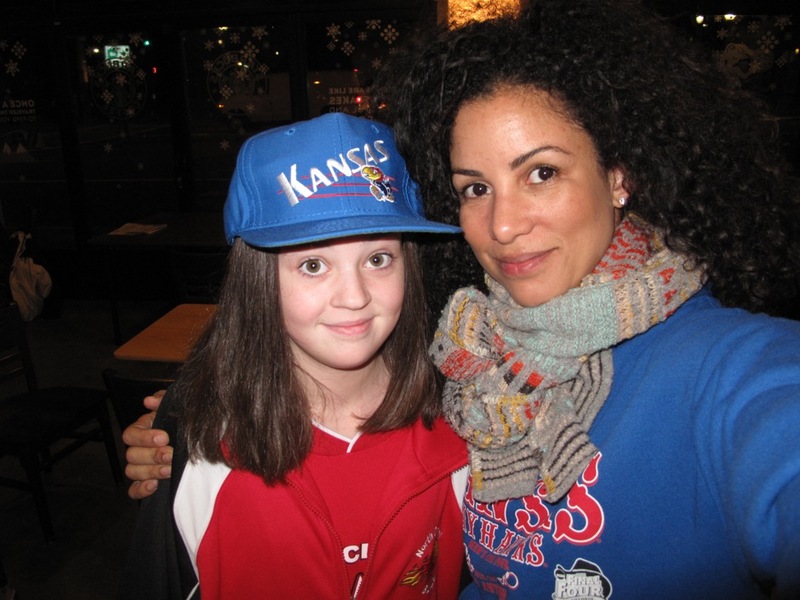 Tonight I am proudly taking my favorite 11 year old – who also loves basketball – to catch KU fever. Sierra decided to warm up the court and show me her special lay-ups she does, as the leading scorer, for the Blaze BB team. After a nice 20 min. practice session (and no other fans), we realized the game is TOMORROW!! 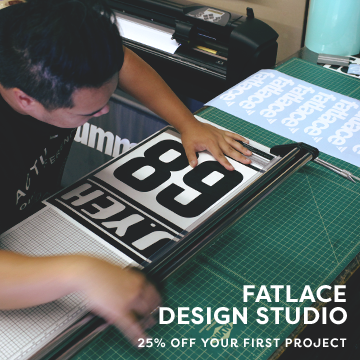 NEXT DAY. Now I know we are here at the right time and place. I see all of the Kansas fans taking over Haas Pavillion. That’s right – GO SELBY. He’s a star even after his NCAA 9 game banishment for foul play. 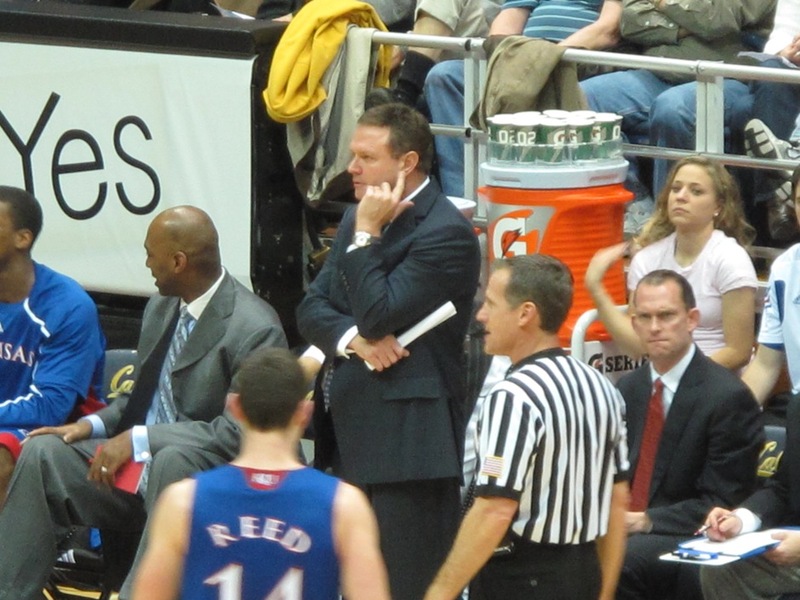 Bill Self. We loved him immediately and welcomed him with open arms after Roy Williams went back to the Tar Heels. I still like Roy and I like NC, especially after I personally saw KU (surprisingly) beat NC at my last trip to the final four in 2008. My good friend Rick Fox got his start in baby blue. Here we go! It’s game time and we’re feeling crazy!! No this is not double vision. It’s the All American twins – Marcus and Markieff Morris. 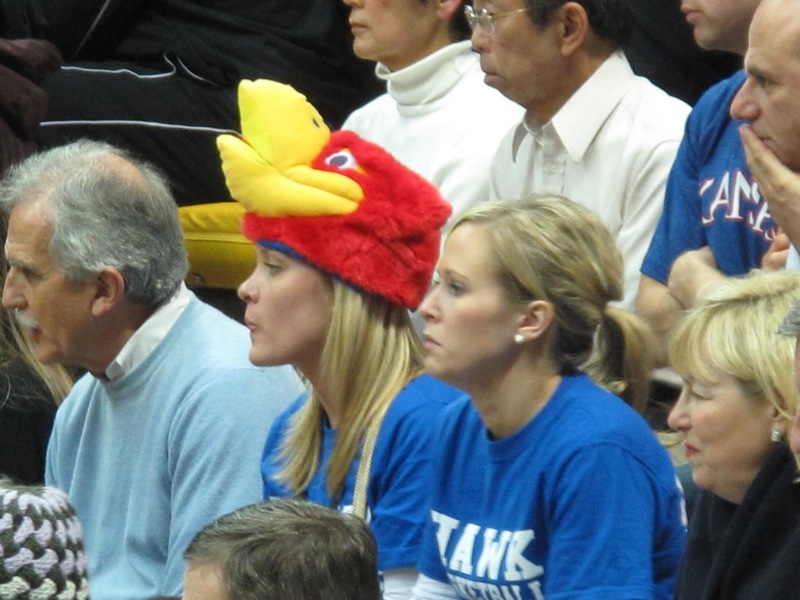 It’s a Jayhawk spotting and we aren’t even at Allen Field House. 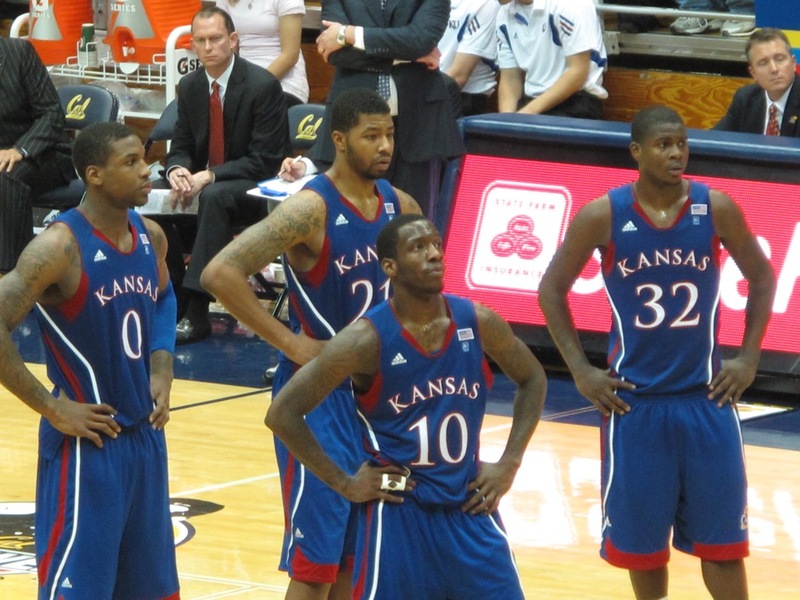 It’s an ALL-Star line up for KU. I think twenty is too young for me. 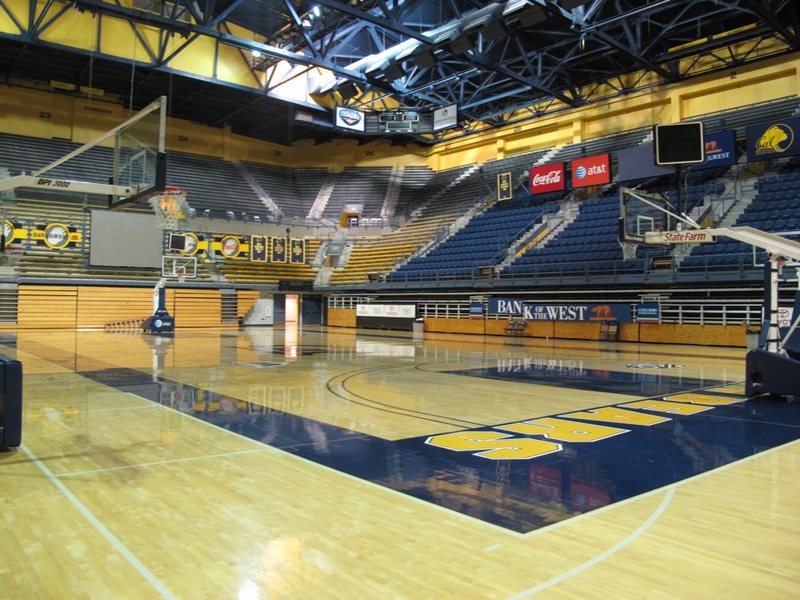 The only thing the Calbears had worth featuring was Bak Bak. 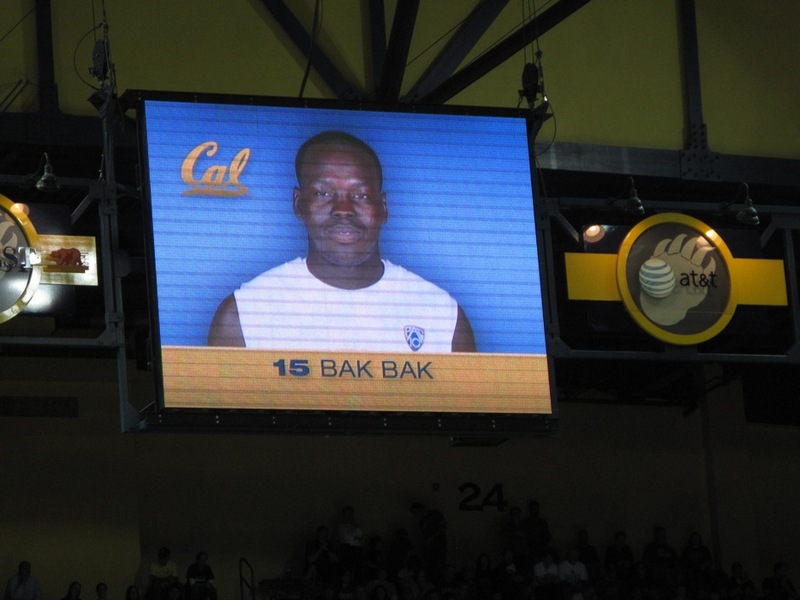 They imported him from Africa to mold him into a pro BB player. 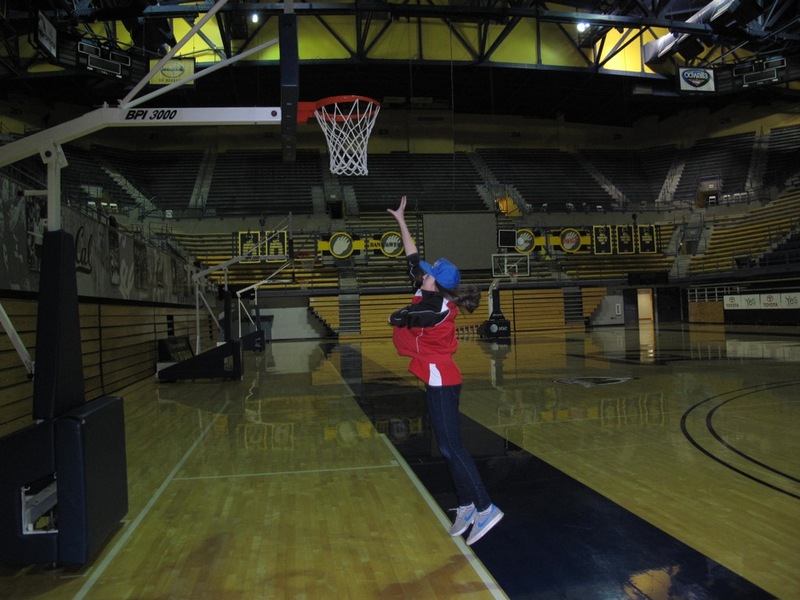 I was thinking about doing the same thing – adopting a black baby and manufacturing him into a basket ball star. My own personal blindside. It’s a gamble, but could be a great retirement investment. There was a lot of heat and technical’s were called all night. 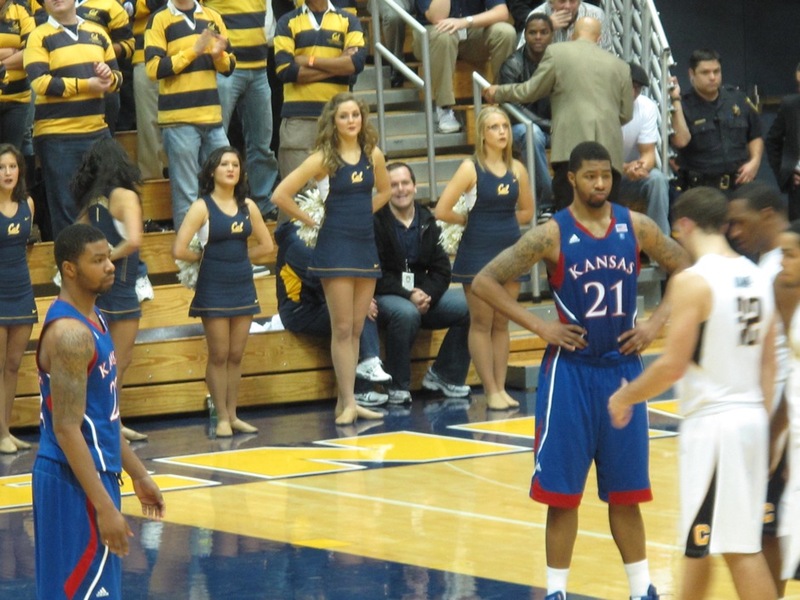 Every team plays their best and wants to beat Kansas Basketball. Berkley fans were pissed. 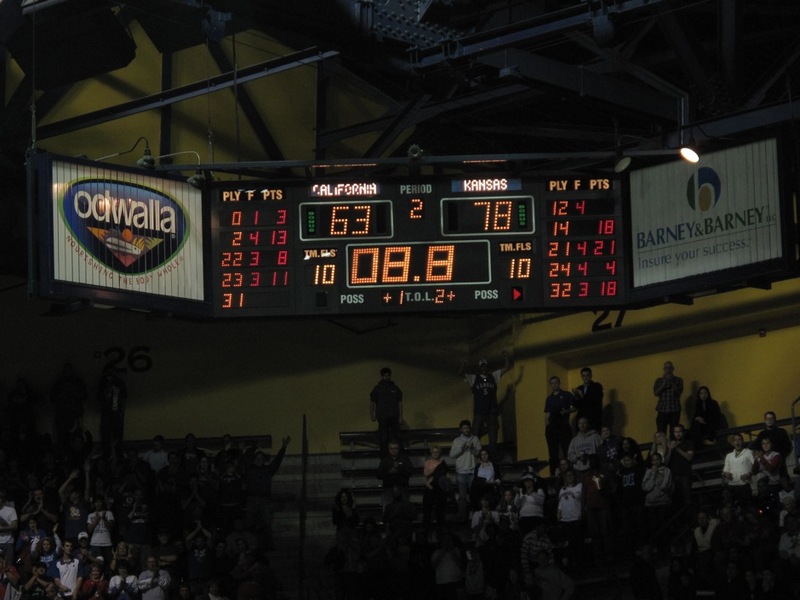 There was NO home court advantage with the crimson and blue. We gave them great basketball and they gave us fights on and off the court. 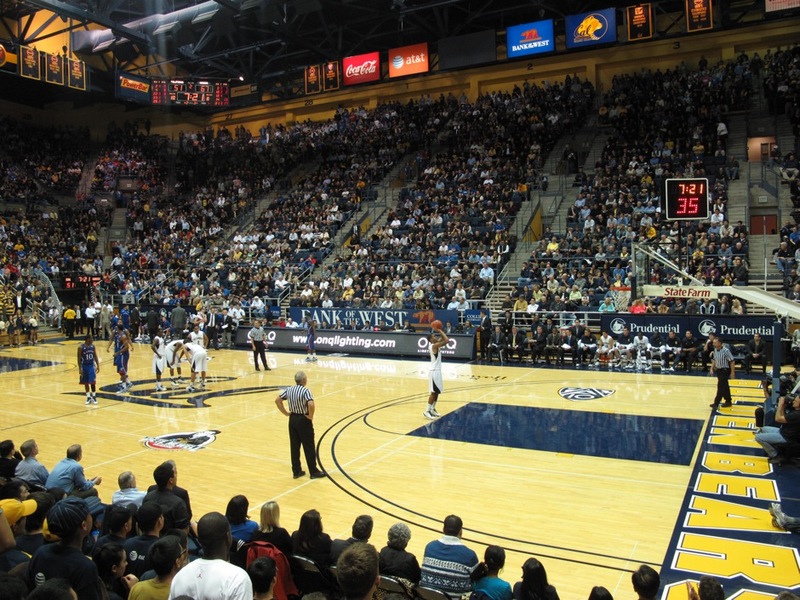 I love college basketball – they have true fans. 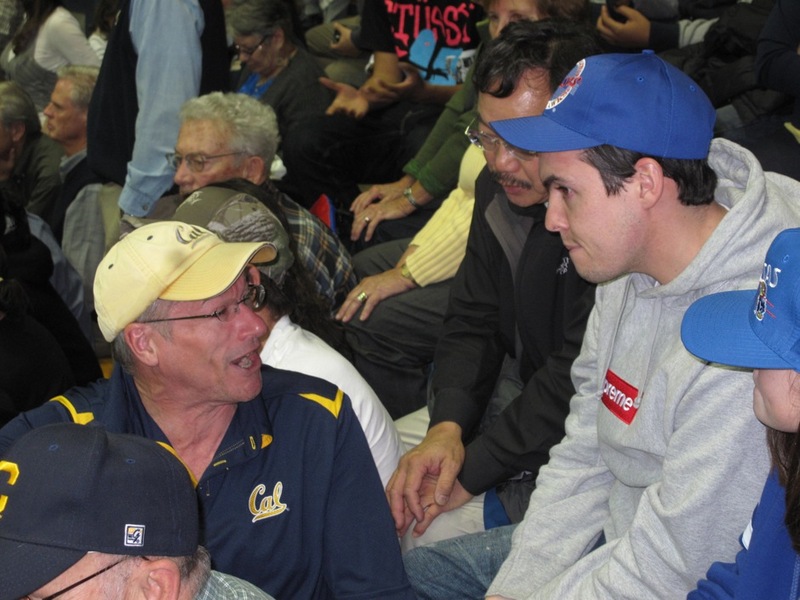 This guy seemed to forget KU invented basketball and CAL State will never be Supreme. Shall we start waving the wheat? 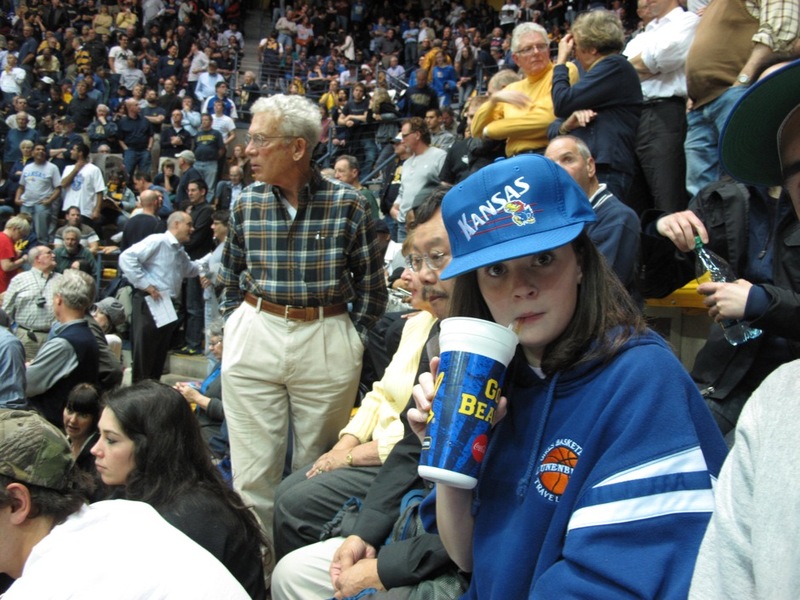 “I promise, I have only had one soda, but I will forever love KU”. 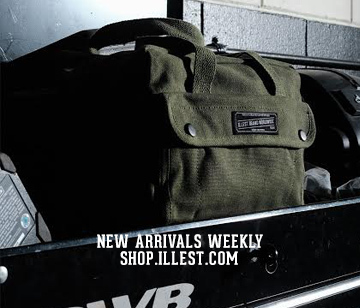 Illest Boutique Reopens Tuesday October 25th!